As usual, the mainstream U.S. media is rushing to judgment over the crash of a Malaysian airliner in war-torn eastern Ukraine, but the history of U.S. government’s deceptions might be reason to pause and let a careful investigation uncover the facts. 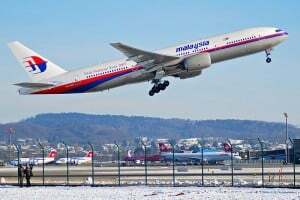 It will likely take some time to determine who downed the Malaysia Airlines Boeing-777 over eastern Ukraine on Thursday, killing all 298 people onboard. Initial speculation is that someone with a missile battery mistook the plane as a military aircraft, but the precise motive may be even harder to discern. Given the fog of war and the eagerness among the various participants to wage “information warfare,” there is also the possibility that evidence – especially electronic evidence – might be tampered with to achieve some propaganda victory. Ukrainian President Petro Poroshenko immediately labeled the tragedy “a terrorist act” although there was no evidence that anyone intentionally shot down the civilian airliner. But Poroshenko and others in the Kiev government have previously designated the ethnic Russians, who are resisting the Feb. 22 overthrow of elected President Viktor Yanukovych, as “terrorists” so Poroshenko’s bellicose language was not a surprise. For their part, the separatist rebels in eastern Ukraine denied responsibility for the crash – saying they lacked anti-aircraft missiles that could reach the 33,000-foot altitude of the Malaysian airliner – but there are reasons to suspect the rebels, including their previously successful efforts to shoot down Ukrainian military aircraft operating in the war zone. Those likely to agree with that statement include German Chancellor Angela Merkel and French President Francois Hollande who, during a lengthy four-way conference call with Poroshenko on June 30, tried desperately to get him to prolong the ceasefire. Only the U.S. voiced support for Poroshenko’s decision to spurn that initiative and order Ukrainian forces into a major offensive in the east. It was in the context of Ukrainian forces using their airpower to strike rebel positions that led to the rebels’ efforts to neutralize that advantage by deploying anti-aircraft missiles that have achieved some success in downing Ukrainian military planes. The Ukrainian military is also known to possess anti-aircraft batteries scattered throughout the country. Among Putin’s alleged offenses, according to the Times, has been his “failing to support a cease-fire and avoiding serious, internationally mediated negotiations” – though Putin has actually been one of principal advocates for both a cease-fire and a negotiated solution. It has been the U.S.-backed Poroshenko who canceled the previous cease-fire and has refused to negotiate with the ethnic Russian rebels until they essentially surrender. But the death of all 298 people onboard the Malaysian Airline flight, going from Amsterdam to Kuala Lumpur, will surely provide plenty of fuel for the already roaring anti-Russian propaganda machine. Still, the U.S. press might pause to recall how it’s been manipulated by the U.S. government in the past, including three decades ago by the Reagan administration twisting the facts of the KAL-007 tragedy. On Sept. 6, 1983, the Reagan administration went so far as to present a doctored transcript of the intercepts to the United Nations Security Council (a prelude to a similar false presentation two decades later by Secretary of State Colin Powell on Iraq’s alleged weapons of mass destruction). It was clear to Snyder that in the pursuit of its Cold War aims, the Reagan administration had presented false accusations to the United Nations, as well as to the people of the United States and the world. To these Republicans, the ends of smearing the Soviets had justified the means of falsifying the historical record. It was not always this way. There was a time when the U.S. government wouldn’t risk its credibility for a cheap propaganda stunt, knowing that there are moments when it is crucial for the world to believe what U.S. officials say. Some of us will remember when, in 1962, U.S. Ambassador to the UN Adlai Stevenson showed the Security Council U-2 photographs of fledgling Soviet offensive missile bases in Cuba. It was the perfect squelch to the Soviets and their allies trying to sow doubt about the truth behind President John F. Kennedy’s allegations. I also have grown more and more suspicious of the official U.S. government account about the crash of TWA-800 on July 17, 1996. Shortly after departing Kennedy Airport in New York, the plane exploded off Long Island with 230 people killed. More than 100 eyewitnesses reported seeing an object they described variously as a “missile,” “flare” or “rocket” rise up into the sky and merge with TWA Flight 800. The immediate suspicion was that the disaster was an act of terrorism, although some speculation focused on the presence of U.S. Navy missile-carrying warships in the area. However, after raising much of the plane’s wreckage from the sea bottom, the National Transportation Safety Board and Justice Department/FBI dismissed the eyewitness accounts of a missile and concluded instead that the explosion was caused by an electrical malfunction. Quite aside from the likelihood that CIA exceeded its authority with its involvement in this domestic issue, it pains me as a former CIA analyst that my former colleagues would take part in this kind of deception, producing a video that was unprofessional at best and fraudulent at worst. So, there is, sadly, additional reason to kick the tires of any fancy truck carrying “intelligence” offered by the U.S. with respect to the Malaysian Airline shoot-down on Thursday. Ray McGovern works with Tell the Word, a publishing ministry of the ecumenical Church of the Saviour in inner-city Washington. He served as a CIA analyst for 27 years and is now on the Steering Group of Veteran Intelligence Professionals for Sanity (VIPS).